CHICAGO – Rare! One of 2013’s most anticipated films! In the latest HollywoodChicago.com Hookup: Film with our unique social giveaway technology, we have 10 pairs of advance-screening movie passes up for grabs to “The Hunger Games: Catching Fire” starring Jennifer Lawrence and Josh Hutcherson with a live red-carpet stream from the Los Angeles premiere! 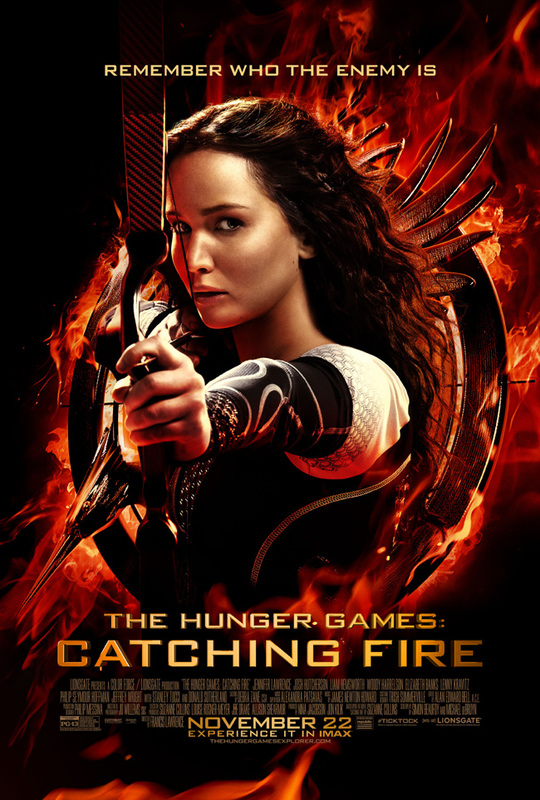 “The Hunger Games: Catching Fire” is rated “PG-13” and opens nationwide on Nov. 22, 2013 in theatres and IMAX. The event is brought to you by Subway. The film also stars Liam Hemsworth, Sam Claflin, Jena Malone, Elizabeth Banks, Woody Harrelson, Philip Seymour Hoffman, Stanley Tucci, Jeffrey Wright and Donald Sutherland from director Francis Lawrence and writers Simon Beaufoy and Michael Arndt based on the novel “Catching Fire” by Suzanne Collins. To win your free “The Hunger Games: Catching Fire” passes courtesy of HollywoodChicago.com, just get interactive with our unique Hookup technology below. That’s it! This event is in downtown Chicago on Monday, Nov. 18, 2013 with the live red-carpet stream at 8:30 p.m. and the film immediately following. The more social actions you complete, the more points you score and the higher yours odds of winning! Completing these social actions only increases your odds of winning; this doesn’t intensify your competition or lower your odds! Note: Red-ribbon loyalty redemptions will not be accepted for this high-profile Hookup. Note: Winners must confirm attendance within 24 hours or your tickets will be released. Note: Winners must arrive very early at this screening. “The Hunger Games: Catching Fire” begins as Katniss Everdeen has returned home safe after winning the 74th annual Hunger Games with fellow tribute Peeta Mellark. Winning means they must leave their family and close friends to embark on a “Victor’s Tour” of the districts. Along the way, Katniss senses that a rebellion is simmering, but the Capitol is still very much in control as President Snow prepares the 75th annual Hunger Games (The Quarter Quell): a competition that could change Panem forever. “The Hunger Games: Catching Fire” is directed by Francis Lawrence from a screenplay by Simon Beaufoy and Michael DeBruyn based upon the novel “Catching Fire” by Suzanne Collins and produced by Nina Jacobson and Jon Kilik. The novel is the second in a trilogy that has more than 50 million copies in print in the U.S. alone. “The Hunger Games: Catching Fire” opens on Nov. 22, 2013. The movie poster for “The Hunger Games: Catching Fire” starring Jennifer Lawrence and Josh Hutcherson. This HollywoodChicago.com Hookup is simple! Just get interactive in our unique Hookup technology above. We will award 10 admit-two movie tickets based on social entry numbers and/or randomly via e-mail for our “The Hunger Games: Catching Fire” Hookup. Good luck! Winners need to arrive early as seats are consumed on a first-come, first-served basis. Since showings are overbooked to ensure a full house, winners are not guaranteed entrance and must arrive early. We recommend arriving very early before this event’s scheduled start time. HollywoodChicago.com LLC is a promotional partner with the studio and its partners and doesn’t assume any liability for this giveaway. HollywoodChicago.com is not responsible for errors or omissions entered in user submissions. Comments are closed in this Hookup.